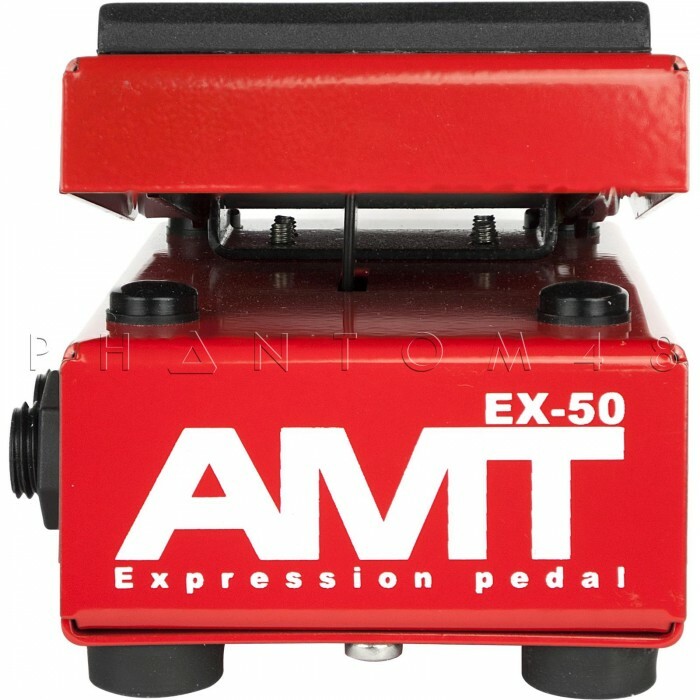 The EX-50 Expression Pedal is temporarily out of stock. Order today and Phantom48 will normally ship in about No business days. 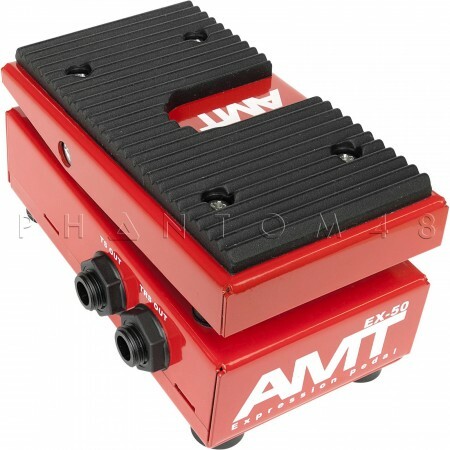 AMT forever changed the concept of the "crowded" pedal board by earlier introducing their smaller sized WH-1 Wah and LLM Volume pedals; which have been a huge success. Guitarists worldwide had such great things to say about the functionality, quality, sound, and size of these pedals; that we got bombarded with requests to design and manufacture a smaller sized expression pedal. Thus, the EX-50 is born. Designed with dual outputs (TS and TRS) and two switchable modes for normal or inverted operation; the EX-50 is capable of controlling a wide range of brands and manufacturers of expression-ready effect pedals. The small footprint allows players to easily mount several EX-50's on their board, difficult in the past due to the large territorial size of conventional expression pedals.